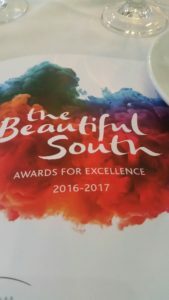 We can hardly believe it – The Riverside Yurt Café won GOLD in the Beautiful South Tourism East awards for the best café/ tearoom of the year. There are so many emotions – amazing, proud and overwhelmed – what started out as an experiment to see who might like to visit a rather remote but beautiful part of England in a private garden has turned out to be indeed something that fills a need. It was a learning curve for all of us but as always we worked effortlessly and with professionalism to provide a personal and unique experience in a Yurt where the service was paramount. 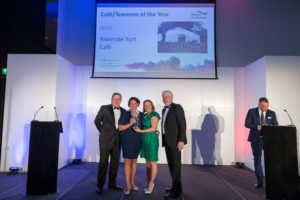 We wanted to provide an escape albeit in our own private grounds that catered for all – we were asked ‘why would you want to invite people into your home! ‘The answer is: because we love it so much and we wanted others to appreciate it too! Riverside is indeed beautiful and an escape – it helps you wind down, you feel peaceful and at ease and that is the kind of service we wanted to provide as well. The Yurt is magnificent – a beautiful structure with wonderful craftsmanship – a lovely adaptable space. 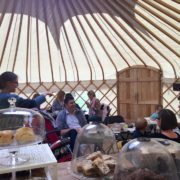 The Riverside Yurt Café is only open March to October each year and serves cakes and tea/coffee provided by local Moonroast Coffee and Twinings Tea. We serve our own Raspberry and Lavender Jam with scones and clotted cream and this always tastes even better when you can see the lavender and smell the flowers only a small walk from the café. The Riverside Yurt Café is not just for tea and cakes – we use the space to offer classes of Yoga and Pilates, as well as Art classes and life drawing. We have also hosted workshops such as wellbeing retreats and holistic days. Local events have taken place such as charity fundraising and the yurt also offers space where local artisan products can be purchased. 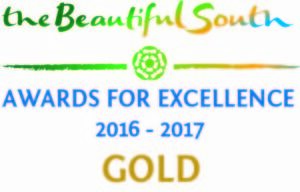 2017 is exciting and we hope to provide a more structured programme of activities with an easy booking method for both the fitness and wellbeing as well as the yurt lunches and teas.